I've been playing Jarad for a while, really fun in my opinion. Wall of Blood and Essence Harvest are a couple of my favorite cards, so it's great to see them in the list. 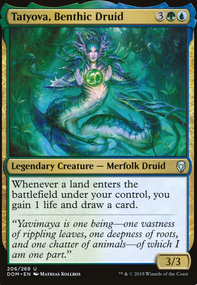 I didn't know Copperhoof Vorrac existed before your list, very interesting, might have to add him. I've also been meaning to get me a Mossbridge Troll, thanks for reminding me. 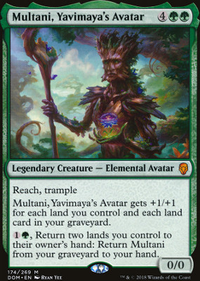 Ramunap Excavator is like Crucible of Worlds on a creature, can help you get back lands that you've sacc'd for extra uses. Doesn't look like you have too many activated abilities, but Necrotic Ooze can be a second copy of your Wall of Blood (provided it's in the gy), and your opponent's might have some cool abilities in their GY. Hermit Druid Elvish Piper Doomed Necromancer are all creatures that I run that my Ooze could potentially use the abilities of if they end up in my GY. I like running creatures like these because if they can take the place of a spell, that's one more creature in my GY buffing Jarad and other Llurgoyf like creatures. Also, because they are creatures, they are more easily retrieved from the GY to be used again. One last thing, been playing recently with Mirage Mirror and I honestly think I'm going to start putting it in all of my decks, just so many uses you can get out of it. Recently I made it copy someone's Amulet of Vigor and then played a fat Splendid Reclamation . Was too much fun. Get the mirror while it's still reasonable. Really like this list, looks fun. I'm of the opinion that Perpetual Timepiece is bordeline mandatory in any muldrotha list. It both self-mills and protect your yard for a very cheap price. It is just flat-out better than, say, Crow of Dark Tidings . You are running World Shaper , but not The Mending of Dominaria or Splendid Reclamation . 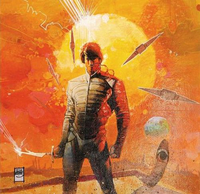 While shaper is by far the best of the three, I see no reason not to include the other two. You seem to be missing a sac outlet to get your Eternal Witness, Archeomancer and the like into the yard so you can play them again. The Ideal would be something like Ashnod's Altar , or Phyrexian Tower , but Vampiric Rites and Viscera Seer are budget alternatives. What do you mean you don't play Terramorphic Expanse and Evolving Wilds in Muldrotha? 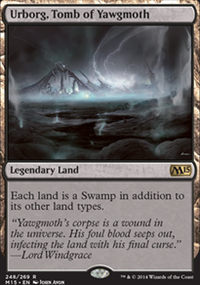 Those are beyond awesome, because they garantee land drops every turn as long as your commander is online. The Gitrog Monster and Underrealm Lich draws approximately 1/3 of your library, putting 2/3s into the graveyard ( Underrealm Lich allows you to draw from an empty library and not lose). 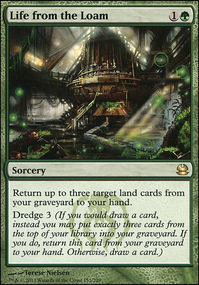 From there, cast Omnath, Locus of Rage then Splendid Reclamation , bringing back every land you run in the deck (bonus if you sac all your lands to Zuran Orb or something before Reclamation resolves), then sacrifice all the tokens to lightning bolt out the table. You're absolutely right, Joker207755. 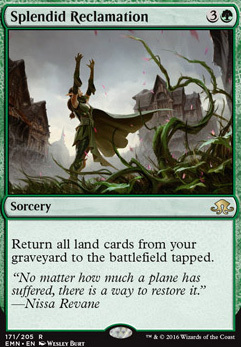 That's why I don't run any cycling lands in my deck. ThyNemesis, I actually used to run Drownyard Temple . I ended up eventually cutting it for stronger lands. I don't think there is enough landfall to warrant running Ghost Town , but it's a neat suggestion! I also used to run Splendid Reclamation , but the fact that they all enter tapped didn't make it worth it to me. 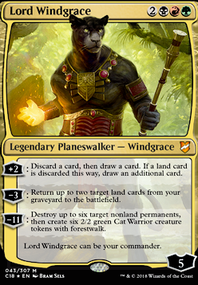 I try to only sacrifice all my lands when I know I'm going to win.